Love is a great feeling and being in love can change a person. Improve him or even break his psyche. So what it do to a young man through his adult life till he settled for a woman?! Plot : Vikram Vatsalya ( Naga Chaitanya) in his adolescent age falls for a school teen Suma (Anupama Parameshwaran). He thinks her to be his life partner but she uses him for her love. He in fear of rejection and her father never expresses his love. After few years, now rough and tough Vikram falls for his lecturer Sitara (Sruthi Haasan). Everything looks set but destiny plays a very cruel game in this love story! What is that cruel game? How will Sindhu (Madonna Sebastian) play a role in his life? You need to experience this lovely love on screen! 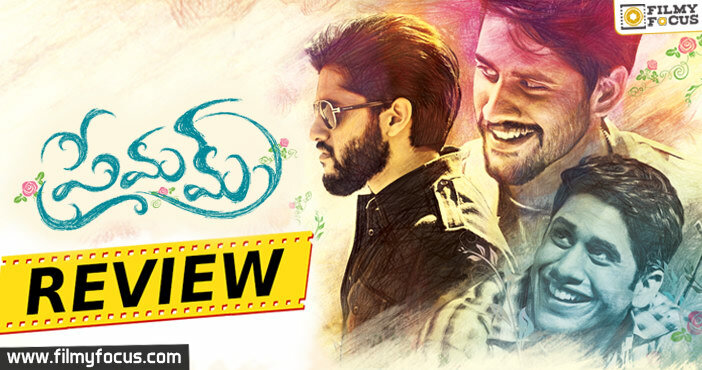 Performances : Akkineni NagaChaitanya imitated Nagarjuna body language in the college episode and proved his mature acting skills in the last section of the film. Even though he hammed in the early portions he proved he can hold an emotional scene convincingly where needed. On the whole, he deviated from the original Nivin Pauly’s performance and did not try to imitate him in any manner. He seems to be improving with every movie. Sruthi Haasan did take a lot of trolling from Malar Sai Pallavi fans but she did try to carry the role in her own style. Her limited acting skills were on display too. Madonna Sebastian proved she is not just a glam doll. Anupama Parameshwaran role was highly limited from original but the screen time she had she made her presence felt. Brahmaji, Narra Srinu were well used for their roles and they made it count. Cameos from Venkatesh and Nagarjuna were like icing on the cake. They were effortless in their short roles and screen glowed with their presence. But Nag looked a bit tired and restless. Praveen, Noel Sean, Chaitanya Krishna, Srinivas Reddy did justice to their roles and provided all important support in comedy scenes. Technicalities : Kotagiri Venkateswara Rao edited the film in a trendy manner. He never let the narrative loose its speed and concentrated on the overall feel of the film. Karthik Ghattamaneni camera work was on par with original. Music by Gopi Sundar and Rajesh Murugeshan, original tunes were very good. Musically film scores high with the general audience too. Alphonse Puthiren scripted a slice of life film but Chandoo Mondeti made it a commercial film with slight additions. His additions and adaptation did work in parts put he couldn’t manage to carry the same feel into the film. The original was more about how George lost in love but grew as a character here Vikram did grow but script doesn’t let us feel with the character. Naga Chaitanya did carry the film on his shoulders but director did try to bring in references to his father through out the film rather than concentrating on making Vikram a more plausible character like in the original. Analysis : The film being a remake of a cult classic among city youth, does try to be honest in its approach but somehow the commercial angle took over the honesty. The original film was not a classic story but became a classic because of its slice of life narrative and relatable character. Chandoo should have concentrated on bringing the feel rather than making it a safe bet. On the whole he made a decent remake that will help the actor to score some browny points at box office and as a actor. Remakes are not easy but few can be called decent and enjoyable!